Priyanka Chopra Jonas recently sported transparent heels with her Chanel outfit. She is probably the first Indian celeb to have done so. Priyanka Chopra Jonas has rarely been the one to follow conventions. The Quantico actor was recently spotted making quite a statement in a cropped waistcoat that was paired with a matching short skirt, both from Chanel. The look was completed with hair styled into soft waves and was accessorised with a yellow sling bag. However, it’s the shoes, that quite evidently stood out. She sported transparent heels and is perhaps the first Indian celebrity to do so. It might not be our favourite but trust the actor to pull it off with ease. 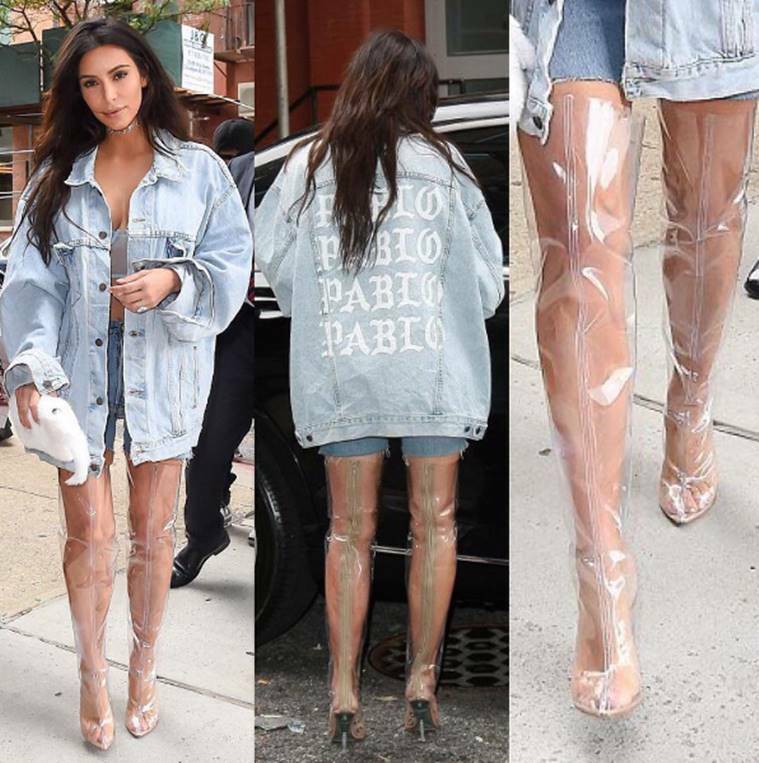 It was Kim Kardashian, who was first seen in transparent plastic boots, way back in 2016. The socialite had stepped out of her New York hotel in the see-through boots which were all plastic. And she definitely succeeded in turning heads owing to the bizarre choice. In Paris Fashion Week 2017, Chanel had presented several transparent fashion accessories and shoes. Models had walked down the ramp wearing transparent knee-high boots with capped toe look, characteristic of the brand. Transparent gloves, huge hats and cropped shawls were also on display. Looks like plastic shoes and accessories are here to stay.